1. What made you decide you needed to learn how to dance? I was a single guy looking for activities that were interesting, active, and social. I had grown up with music and movement as a heavy participant in marching band and drum and bugle corps. I tried aerobics for exercise then took some modern and jazz classes at MCC. I'd heard about ballroom and country dancing but what first got my attention was a posting for West Coast Swing dance club. I showed up and, after getting over my intimidation, became a regular attendee and enthusiastic student. 2. How did you hear about the Academy of Ballroom Dance? I hear about the Academy from some Swing dance acquaintances who thought I'd enjoy ballroom. I first came down when a girlfriend brought me to group lessons with Jim and Jenell around 1993. I'd already been dancing for a couple years. That adds up to about 26 years of couples dancing. 3. What about dancing inspires you most? I love dancing and artistic expression. There's an immediacy and an intimacy in the movement. I also love about couples dancing, the connection between dance partners. Not just the communication but the ability to feel and become entwined with another: your partner, your spouse even someone you just met. It's an intense human to human connection. What inspires me is the powerful and sometimes eerie connection between the lessons I get in my dance studies and the areas of life that I work on to be a healthier and more productive person. 4. When you're not dancing what else do you enjoy? Hobbies? I enjoy travel and especially the outdoors. I like to hike, mountain bike,Kayak and relax by mountain likes. Five years ago, I started backpacking and mountain biking passages the 800 mile Arizona trail that stretches from Mexico to Utah. This October I will complete the last of the passages. It has been a wondrous and challenging journey of incredible beauty. 5. What are some highlight of your life? Every day brings something special, but the highlight that stands out most to me is marrying my wife, Monica, almost exactly six years ago. 6. Is there something you are very proud of? My mom turns 77 this year and seven years ago I realized it had been almost a decade since all her family had been together. I'm proud to say that I initiated a reunion gathering that year that ended up being so joyous that is has become an annual event. In work, I'm working towards heading up research and development activities in breakthrough areas and with cross-disciplinary cooperation. At home, I'd like to continue my development and travel and have new adventures with Monica. I've set my sight on the John Muir Trail as a 210 mile hike through Sierra Nevada Mountains in California. For dance, while I love all dance, International Standard seems the discipline in which I can grow and improve without limit. I'd like to compete successfully at the National level. I am a Principal Mechanical Engineer at Fluke Corporation. I've worked at Fluke for 19 years and I still really like what I do. "And placing first in all dances, from Arizona ..... and Jim Maranto" This happened across every style, division and age group. I'm not sure how many students Jim had at Emerald in 2008 but it seemed like at least 10. Shamefully I had no idea at that point who Jim Maranto was. Coming from a Fred Astaire franchise I had only been exposed to instructors from those studios and was still really learning about the ballroom world. 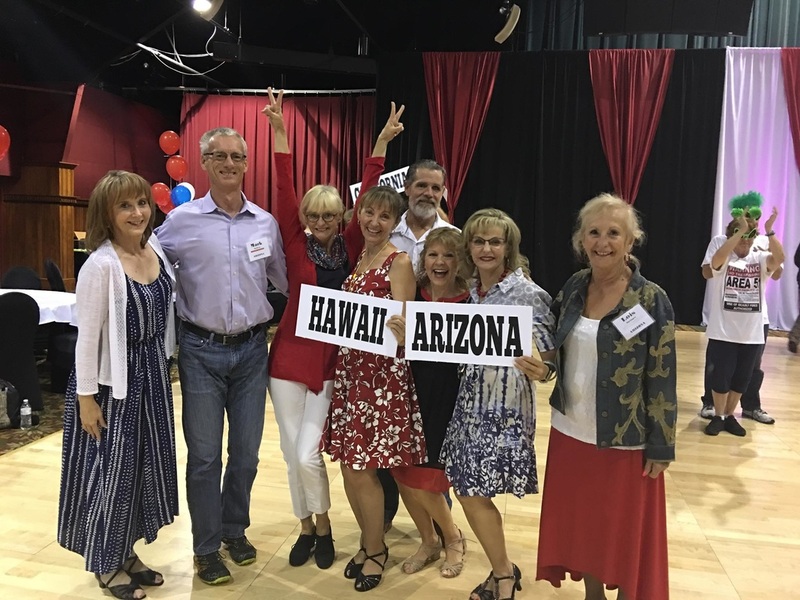 Upon arriving back to Phoenix, I started doing my research and quickly found out about Jim and Jenell Maranto, all of their accomplishments and the Academy of Ballroom Dance. In the Fall of 2008 my instructor moved to another studio out of state which gave me the perfect opportunity to call ABD and inquire about lessons with Jim. In my first lesson with Jim, I recall telling him that I had learned a lot of steps over the past couple of years but what I really wanted to do was start from the beginning and learn how to really dance. At the end of that first lesson, I realized I had learned more in that 45 minutes then in all the lessons I had taken over that past couple of years. I knew this is where I wanted to be and haven't looked back since. Fast forward to Emerald Ball 2011 and the announcer says "And in first place in the DVIDA Bronze Syllabus scholarship in Karen Chirico and Jim Maranto." I feel very privileged to have Jim and Jenell Maranto as my teachers and dance mentors. They are truly the best! 2. Hobbies besides ballroom dance? For many years I was the "Soccer Mom" traveling from city to city every weekend for tournaments and in my spare time I would play tennis. Now the kids are grown so no more "Soccer Mom" and the only real hobby I enjoy is dancing or reading a good book from time to time. 3. What do you like about dance? I love the way dance allows you to escape the world around you. I love that it's artistic and athletic, completely exhilarating and frustrating all in the same breath. 4. Do you have a favorite dance style? My favorite style of dance is American Smooth. It's elegant, artistic and technically difficult. My favorite American Smooth dance is Viennese Waltz. Someday I will master it. 5. Tell us something about yourself that you are proud of. I am most proud of my three boys. They have grown up to be amazing young men and most recently my oldest son and daughter-in-law welcomed their first child. Yes, I am a Grandma and so excited about it. There is nothing more amazing than seeing your child with their child. It's such a blessing. 6. Any major turning points in your life that you don't mind sharing? There have been two major turning points in my life. The first was becoming a single parent of three yours boys in 2001 and the second was the death of my father in 2005. Both had significant impacts on me in different ways. 8. Would you mind telling us about your occupation? I have worked for Honeywell since 2004 and I am currently the Director of Enterprise IT supporting Finance operations globally. 1. What made you decide to take your first step into a dance studio and start to learn how to dance? When I realized that I suppressed my heart's desires to survive, I started to look for some things that would give me life and I found dance. 2. How long have you lived in Arizona? I moved to Phoenix from Russia in 1999, and have been living here since. 3. Do you have any other hobbies besides ballroom dancing? what are they? I like to read and to write mostly about the psychology of relationships. I like to learn. I enjoy to be high up in the sky and to relax at the ocean. 4. What do you most like about dance? Dance is my therapy. It helps me to express myself, to release my energy, and to produce something beautiful through movement. It gives me a lot of learning opportunities and challenges. 5. Do you have a favorite dance or style of dance? I am still trying to figure out what my favorite style of dance is. I like partner dancing because they symbolize relationships. I really like the sparkle in international latin styles. 6. Tell us something about yourself that you are very proud of. I am proud that in 1996 I graduated from a university (faculty of Philology and Journalism) - it was hard work. I am proud of my daughters. I am proud that I touched the lives of some people positively. 7. Any major turning points in your life that you don't mind sharing? My first turning point was when my fiancé got arrested for double murder. I almost went crazy trying to accept this truth. Nobody believed that I had not known, only God knew the truth. I gave my heart to God - that was my second turning point. I left my teaching job, and decided to volunteer at YWAM. There I met my husband. We agreed to work together in Russia, but it did not happen. After we were married in Phoenix, we were not able to return to Russia. My third turning point was the beginning of my married life in the USA. The fourth turning point was when I had my first child and realized that I do not belong to myself anymore. It took time to adjust to being a wife and a mother. I enjoyed spending time with my kids and had adventures traveling with family. I thought that I was doing very well until I had a "head to head collision with the truth". That was my fifth turning point. Suddenly I realized that I do not have what I thought I had. I found myself empty and weak. I then decided to do what brings me life and stop doing what I thought I should. 8. Do you have any goals for the future? My goal is to dance and write more, letting my heart heal, so I can love God, myself and others. 9. Would you mind telling us about your occupation? I have been giving private Russian language lessons since I came to the USA. 1. 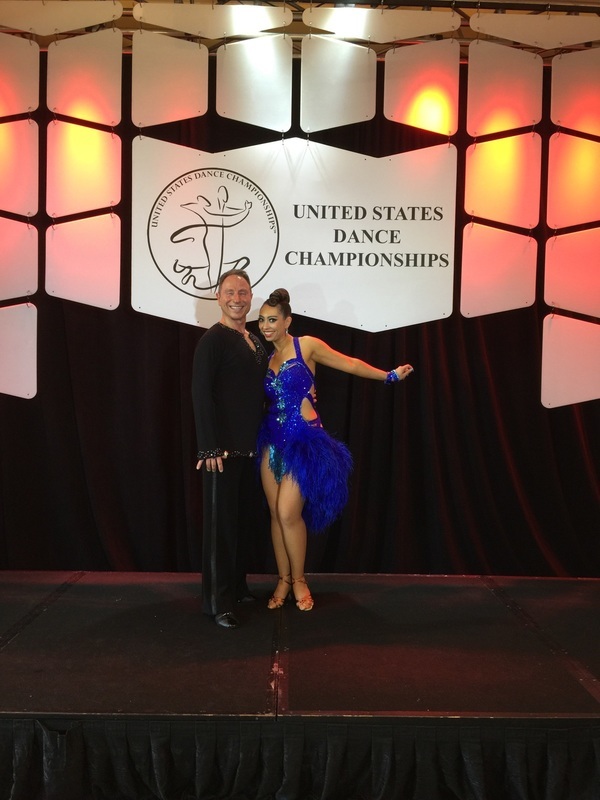 What made you want to learn to Ballroom Dance? I was 43 years old and needed an activity to get me moving and to get back in shape. 2. How did you hear of the Academy of Ballroom Dance? This was my first dance studio. I really lucked out by coming to the Academy first! I've been dancing for 16 years now. 3. What is it about dance that inspires you most? Dancing is like singing, but with your entire body. There is no thought when I dance - just pleasure in movement. 4. When not dancing what do you enjoy? Hobbies? 5. What would be the highlight of your life? A twenty eight year career in law and very happily retired! 6. Tell us something you are very proud of? I'm proud of pushing through and dancing again after major surgery. 7. Are there any major turning points in your life that you don't mind sharing? My first Ballroom Dance lesson was a turning point in my life and that was in December of 1999. To dance lots and lots for the rest of my life! 9. Do you mind telling us what you do for a living? 1. What made you decide you needed to learn how to dance. It was just a desire I had for a while. My father learned International Standard in school when he was growing up and had my sister and I learning how to do it at a very early age. 2. 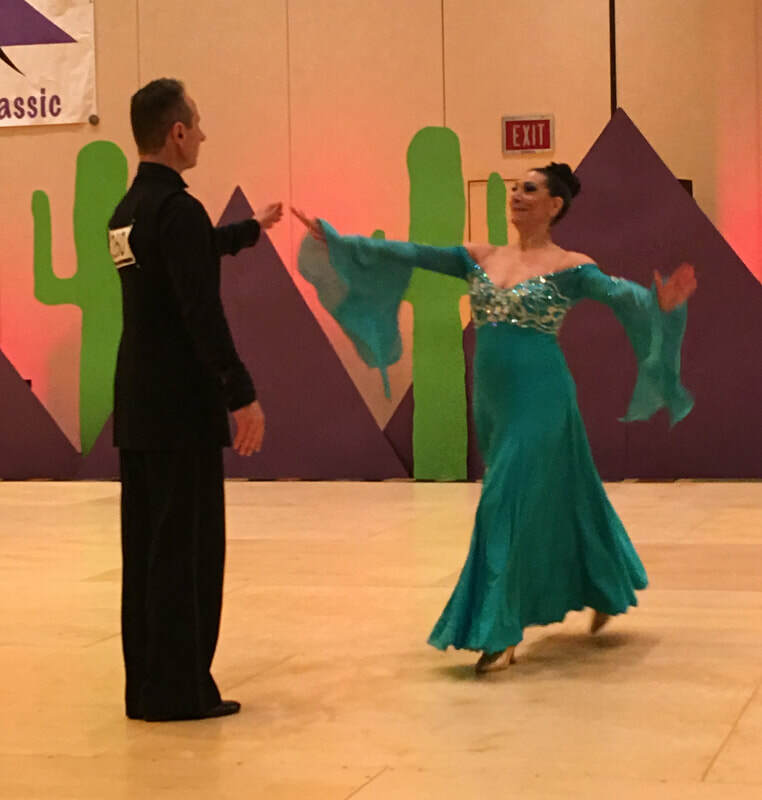 How did you hear about the Academy of Ballroom Dance and how long have you been dancing? I googled it when I was in Virginia. I was in the last year of my military service and was getting ready to move back to Phoenix after I retired. I was looking for a studio to attend here and discovered the Academy of Ballroom Dance on the list. 3. What is it about dance that inspires you the most? The ability to interpret a song/melody with someone and have grace and elegance without looking uncouth. 4. When you are not dancing what do you enjoy doing? Hobbies? Outside of dancing, I don't have one real hobby at the moment. Once I'm finished with graduate school, I hope to learn how to Fence (swordfight), Archery, and become an accomplished Equestrian rider. 5. What are some of the highlights of your life? The main highlight is completing 29-plus years of military service in the USMC and USN. Second would have to be earning my BS in Economics and Finance. Third would be jumping out of airplane 27 times and not killing myself. The fact that I've been able to keep my promise to my maternal grandfather to remain alcohol and drug free. 7. Are there any magor turning points in your life that you don't mind sharing? Mainly the aforementioned answers about the highlights of my life. Also making it through USMC boot camp and USN Officer Candidate School (which is basically USMC boot camp). 2) Compete in more Pro-Am competitions: 3) Eventually, get my own truck. I work for a Ocean Cargo Freight Shipping Company as a Cargo Management Specialist. 1. What made you decide to learn to dance? I enjoyed ballet, tap and jazz as a kid and was excited to try ballroom as an option to continue enjoying dancing as an adult. I am so glad I did. I started with the club at my school and later I joined the ballroom competition team competing against other schools. One of my team coaches recommended Jim & Jenell Maranto from Academy of Ballroom Dance and I've been a student at the Academy ever since. 2. Do you have any other hobbies besides ballroom dancing? What are they? I enjoy attending an adult ballet class when I get a chance. I also enjoy spending time with my family and am happy that they support me in my dancing. 3. What do you like about dance the most? I love the movement and music and getting lost in the dance. Dance is also great exercise and I always feel better after I've gotten to dance. 4. Do you have a favorite dance or style of dance? My favorite dance style is American Smooth. I enjoy competing in the four dance events of Waltz, Tango, Foxtrot and Viennese Waltz. Because of the freedom within the style, I have been able to incorporate aspects of my dance as a kid into this style. My favorite Latin dances are International Rumba and East Coast Swing. I love the fluid movement of the International Rumba, and Swing is a fun dance with great music. 5. Tell us something about yourself that you are very proud of. This year after several years not competing at the national level I made the semi-finals of the US Open to the World Pro/Am Smooth Scholarship Championship (W/T/F/VW). In 2005 I placed second in the World Open Pro/Am Smooth with my teacher Jim Maranto. 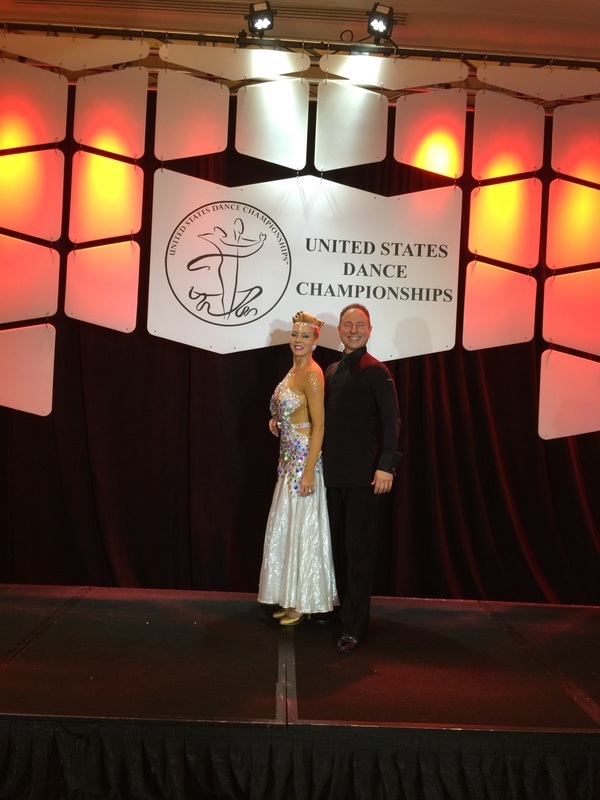 before that I was a Smooth National finalist with USABDA - now called USA Dance. Special thanks to my coaches Jim and Jenell Maranto who made these achievements possible. 6. Any major turning points in your life that you don't mind sharing? I have nothing to share here. Larry's story is a great one. I'm so glad he chose to work through his challenges and see the positive in life and is enjoying life and dancing. 7. Do you have any goals for the future? My goal for the future is to continue enjoying dance and exploring what is possible. I'm always happiest when dancing is a part of my life, and I hope I can always find a place and time for dancing. I started dance for my wife. She'd talked about wanting to do Ballroom for a number of years. So, for Christmas in 2005 I purchased a dance package to Fred Astaire for her and I. I'd always enjoyed music and dance, and hoped that Ballroom would be an activity that we could both enjoy together. I love the music and interpreting it in dance. Feeling the music, experiencing it through movement, becoming part of it. I enjoy the interaction with another person. In life, we place so many boundaries between us and the rest of the world, dance removes some of those boundaries. I worked for almost 40 years as a police officer, I retired a year ago. As an officer, I saw some of the worst things in people. (But also, some of the best.) I watched many people become tainted and cynical by those kinds of experiences. through all those years, I maintained my belief in the goodness and kindness of people. I don't think it was a turning point, but it was a point of decision and a test of who I was. In May of 2001, I was leading a bicycle group on a ride North of Phoenix. We were on our way back from Bartlett lake when I was struck head-on by a jeep. I sustained major injuries to my left leg, arm, skull and brain. I had four surgeons working on different parts of me at the same time. I was not expected to live. Obviously, I did! But I spent the next year recovering and I had a choice. I could look at my loss, I was pretty messed up, in a wheel chair, my left arm had to be reattached, permanently blind in my left eye, and missing a lot of memories. Or I could go on and be thankful for the life I had. I chose to be thankful. I view it now as a time where I was blessed by the opportunity in life to see the best in all those people around me who gave me their kindness. My goal is to live every day. Enjoy each moment and the people I meet in life. To dance, sail, hike, and constantly explore new adventures. 8. Would you mind telling us about your occupation? I'm retired! Permanently unemployable! My occupation now is to just enjoy every moment! 1. What made you decide you needed to learn how to dance in the first place? they were all having so much fun! A friend brought me to the Academy and I have been dancing ever since, for over twenty years now. 3. What is it about dance that inspired you the most? I love being able to improve my dancing and keep on learning new techniques. I also enjoy being able to perform and inspire others to learn about ballroom dancing. Worksing out, reading, travel and shopping at consignment & thrift stores. Traveling to New Zealand and Australia to represent my company to new partners. Also Volunteering and becoming the president of the Phoenix Chapter USA Dance organization. 6. Is there something you are proud doing? Adopting rescued dogs and spoiling them. To retire in four years which will give me time to travel and volunteer more. ​what you do for a living? I am a business relations representative with the Better Business Bureau. ​1. How did you get started dancing? After visiting the Dominican Republic, I thought it would be fun to learn Salsa. As a child I always loved twerling around in front of the TV or a mirror to music. With that as my formal training I called Arthure Murray's and signed up for six months of Ballroom instruction. They told be it takes years to be an accomplished dancer but I thought, I have six monthes, how hard can it be? Well six months later I entered a competition in Italy with my cute instructor only I couldnt remember any of my routines. I was told to just smile. That made me so angry but I went out and nailed it anyway. Thus my first lifetime of ballroom dancing consisted of learning figures, choreography, steps and routines. I was often told "Control your muscles and just follow. Can't you feel the lead?" It was a lot of work and very challenging. It never occured to me that dancing and discipline ever belonged in the same sentence together. I was a medical social worker before being a stay at home mom so once the children were grown I looked for a new challenge. Learning to dance filled that gap for me. I hoped I could become graceful in dance which I was not in life. I enjoy life and can always laugh. I'm outgoing but have never been called graceful. I've been athletic but not an athlete. I tried various sports, skiing , scuba diving, tennis but never did I ever have training or the discipline of a real athlete. 3. My second lifetime of dance. When my husband and first moved to AZ I was looking for a good instructor. I was told about Jim Maranto. This was the beginning of me really learning how to dance. I remember the first time I came for a lesson with Jim in what I thought was a scetchey neighborhood and a small studio. Then I saw his girls dance. They twirled and moved so gracefully I was immediately intimidated. Phrases such as "Move forward to move back', The surge in Waltz is on the 1, Don't dance past your feet, Angle your body and soften. I was in a world of unfamiliarity. The constant intimidation I felt at not understanding these concepts was balanced only by the desire to master and understand. I was in a world of Jim and Jenell Maranto who were truly accomplished and I was humbled to be there. 4. Do you have a favorite dance? That varies according to how I feel I'm accomplishing the movement. The sensuality of Rhumba, the passion of Tango, the grace of Waltz and the playfulness of Foxtrot are all fun when able to achieve their personalities. 5. Tell us something you are proud of. That I put myself out there even when I can't get something right away. I'm proud that I have stuck with dancing for so long. I'm also proud of my family life, which is harder then my jobs used to be. similar to dance, when you accomplish something in raising children it isn't always visible right away. 6. Goals for the future. Moving up to the Gold level and new routines. I want to become more accomplished and feel the music. At the age of 65 I find myself with a new goal of chasing that mystery of physics in dance movement. Understanding as much as age and trust will allow!! Never Give Up!! I grew up performing Thai Classical Dance and spent a few years cheerleading. After college, my opportunities to dance recreationally and professionally grew slim. I thought about taking some hip hop classes for fun, but there weren't many options in the area where I lived. In college, I had taken ballroom as my PE class and thought maybe I could find a studio nearby. One day, I picked up the phone, called a local studio and asked, "Do you do any competitions and co I need a partner? I went to my first group class and haven't stopped dancing since. Not really. I never seem to leave the studio. When I do take a break, I feed my addiction to asian dramas and baby my muscle car. I like that dancing is artistic, athletic, and technical all at the same time. Because of this, it can be enjoyed and appreciated by a wide variety of people with different interests and levels of knowledge. It keep you healthy and also from getting bored because there's always another aspect that you can focus on. I'm very proud that I have continued to study ballroom non-stop for the last 10 years. It was difficult at times, and still is, to stay focused and positive about my progress because it always seemed like I didn't get better fast enough. Almost every day I would watch myself dance in the mirror and wonder why I still looked so awkward, and why I couldn't just do what Jim told me to immediately. At what point would I not be embarrassment on the competition floor? Although I understood that no one becomes skilled at something overnight, I was frustrated so much of the time. But by continuing with my lessons and competitions over the years, I did improve, and am finally starting to gain experience that I can share with others to help them keep dancing too. I believe that the major turning points in my life are yet to come. Stay tuned! I'm still chasing a national or world title at the open level. Eventually, I'd like to be a real life ballroom instructor. Currently, I'm the Chief Research and Statistical Analyst for the Arizona State Demographer's Office. Our agency is responsible for producing official population estimates and projections for Arizona (including counties and incorporated cities/towns) to support planning and decision making of government agencies, private businesses, and research needs of the public. I'm formally trained in mathematics and have held positions in the defense industry, public health, and health care administration over the course of my career. A Box where I hide my joy is unlocked. Blue neon lights shine from the ceiling. Music hits my heart. I feel no pain. I glide past walls, mirrors, blue lights, couples, reflections and people. There are no thoughts, no force, only safety without boundaries. Closeness, lead and follow, connection and beautiful flows fill the space. My heart flutters. Will I be gone by the end of this song? Am I still here? Fresh air reaches y lungs. I breathe. I close my eyes when I fly under a stream of bright light. Sadness melts away. I position myself in his right arm. I am being held. I desire to hold his hand. Energy flows through each part of my body. My bleeding heart knows how to dance. I smile. I make mistakes. I laugh. Delight comes out through movement. This is a shared dance. Harmony is present. It feels right. It is possible for two to move in unison. When dance works, it is heavenly. I am not pushed or pulled, my shoulders and my back do not hurt. I feel connected and I am not thrown off balance. I am willing to respond to the suggestion of producing something beautiful. I am making myself happy and letting the rest of the world disappear. I am dancing from one stage of life to another. Many of our students often join us at the Summer time All Star Dance Camp in Mississippi. There is five days of unlimited dance classes in four levels of expertise Beginner through Advanced. A dance party every night !